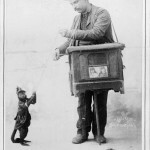 Monkeys have fascinated people throughout history. 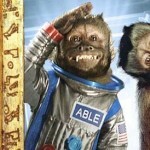 From the ancient Maya and pre-Columbian indigenous communities of Central and South America, to the Colonial Europeans and contemporary scientists in their state-of-the-art research facilities, man has seemingly always been enamored by monkeys. Capuchin monkeys specifically have been integrated into human culture in numerous ways throughout the world. 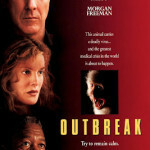 These small primates are kept as pets in many cultures, but in others they are viewed as a nuisance to be exterminated. 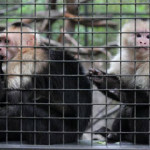 There are even some cultures that have spiritual beliefs pertaining to eating capuchins and the act of doing so is viewed as a sort of religious communion. Yet being omnivores themselves, capuchins contribute to their ecosystem in different ways, both as provider and consumer. In the world of science, these monkeys have also been utilized extensively in various research programs in an effort to advance our understanding of the human brain and the comparative cognition between man and non-human primates. Through this sort of scientific inquiry, capuchins have been found to be among the most intelligent monkeys in the world, and as such are invaluable in our quest to better understand ourselves and the world we live in. To better understand capuchin monkeys, it helps to know exactly what they are. Taxonomically, under the order of Primate, non-human primates are separated into two distinct categories. 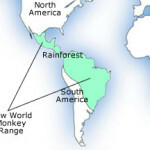 The Catarhinni, more commonly known as “Old World Primates” and the Platyrhinni, or “New World Primates”. Of these two groups, capuchins fall under the latter classification and are even further distinguished under the genus Cebus. 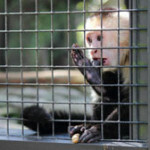 For centuries, and as recently as 2006, the number of different capuchin species within the genus Cebus has been contested and debated among researchers. According to W.C. Hill, a researcher in the mid-twentieth century, “the classification of the numerous forms of the present genus [Cebus] is one of the most vexatious problems in Primate taxonomy and has been so since early times.” (Fragazy 13) Since 2000 however, the number of separate species has been debated to be somewhere between six and eleven, and in 2006 a possible twelfth species is thought to have been discovered in the rainforests of Southern Brazil. All of these variations have led to inconsistencies throughout reference materials and publications, indicating if nothing else, a significant diversity among the genus. The eight species of the genus Cebus generally agreed upon are as follows: C. capucinus “White-faced or white-throated capuchin”, C. albifrons “White-fronted capuchin”, C. olivaceus “Wedge-capped or weeper capuchin, C. kaapori “Ka’apor capuchin”, C. apella “Tufted or brown capuchin”, C. libidinosus “Black-striped or bearded capuchin”, C. xanthosternos “Yellow-breasted, buff headed, or golden-bellied capuchin”, and C. nigritus “Black or black-horned capuchin”. (Fragazy 15) Additionally, there are a number of subspecies and other species that do not seem to be universally accepted by the scientific community as being authentic. Capuchins are indigenous to Central and South America, from northwestern Ecuador to southern Brazil. They typically live in large groups with a definitive hierarchy, usually being led by a dominant alpha. 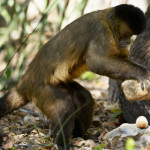 Capuchin monkeys are both arboreal and diurnal animals, preferring to inhabit the neotropical forests of the region and staying active during the daytime. They are known to spend most of their day searching for food in either the forest canopy or along the forest floor, stopping in the middle of the day for a brief nap before continuing to hunt for food. During the evening they will typically find a place to rest near a food or water source. However, capuchins are also found in urban settings where they inhabit parks and interact with humans much like pigeons or squirrels do in many parts of the United States. Seemingly, the encroachment by each into the other’s space has been met with a sort of balance among the two groups of primates. Regardless, these monkeys have still managed to incur the wrath of farmers in the more suburban and rural areas as the capuchins have been found “raiding” fruit and vegetable crops much to the dismay of those relying on the crops for their livelihoods. 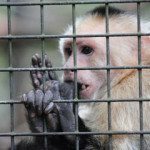 During the period of European Colonialism, explorers in the 17th century, (specifically the French Enlightenment scientists Saint-Hilaire and Cuvier), named the monkeys after the the Order of Friars Minor Capuchin due to the coloration of the monkey’s head and the resemblance to the habit or headwear that monks of that order wore. The naming was indicative of the many conflicts between the Catholic church and scientists during the Age of Enlightenment. In the Histoire Naturelles des Mammiferes, Saint-Hilaire and Cuvier are quoted as saying “his muzzle of a tanned color,[…] with the light color around his eyes that melts into the the white at the front, his cheeks[…] give him a look which involuntarily reminds us of of the appearance that historically in our country represents ignorance, laziness, and sensuality” (Fragazy 1), implying the disdain many scientists felt toward the church during the Enlightenment. 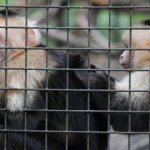 Scientists and zoologists of the Enlightenment, which coincided with much of the period of European Colonialism, found capuchins to be a less violent and therefore preferable specimen over the more common macaques that were being studied in Europe at the time. The surge in the study of capuchins during this period led to them eventually being integrated into affluent human households in Europe. 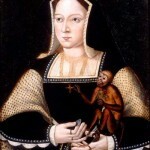 Primarily only the wealthy could afford to purchase or acquire a pet monkey and capuchins were viewed as a symbol of one’s wealth and status, often appearing in portraits with nobility.